Spicy cinnamon and sweet creamy vanilla icing – just like your favorite bakery treat. 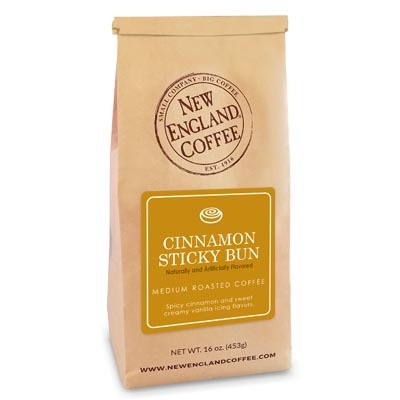 I love this coffee….Its got a true taste of cinnamon! Its delicious any time of the day. Love it !! My absolute FAVORITE coffee in the world! I drink this almost every day, buying whole beans and grinding them fresh. It is NOT sweet! Has a mild, not overpowering, flavor of cinnamon, with no bitterness. my son found a coffee place in Andover that serves this and he treated me to a cup… we are so happy we can purchase the coffee to make at home! I first tried this at the coffee bean in upton and absolutely loved it. So happy I can order it and make it at home!! I was a little skeptical when I ordered this, but oh man, all of my doubts flew out the door the moment I opened the bag. The aroma and flavor are delightful. This is definitely my favorite coffee out there!